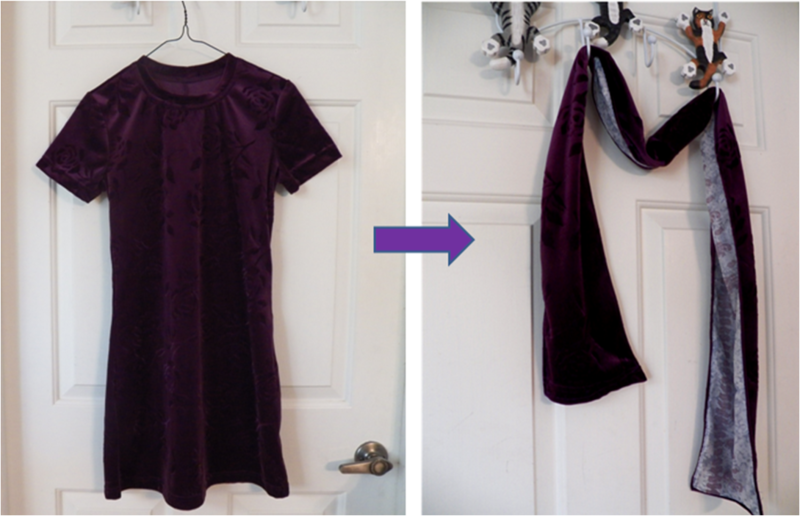 I made this lined scarf from a girl's stretch velour dress I bought at Goodwill and a piece of silky (but not silk) fabric. You can also use the instructions to make it from a length of fabric or another type of clothing you're repurposing - like pants. And if a scarf isn't something you're planning on making, scroll down to the bottom of the post for a bonus ornament tutorial! 2. 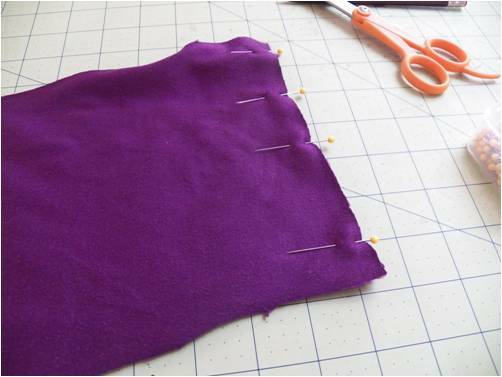 ... and cut it apart at the side, shoulder, and sleeve seams. 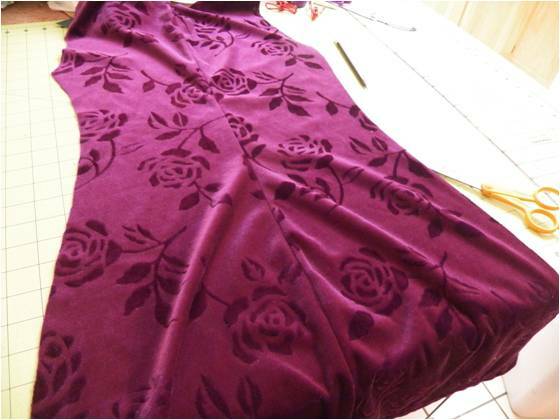 I only needed one side of the dress for my scarf, so I still have a half left to make something else out of. 3. I folded the fabric in half, laid my long ruler along the seam side, and used chalk to draw a straight line on the other side of the ruler. I cut along this line. 4. 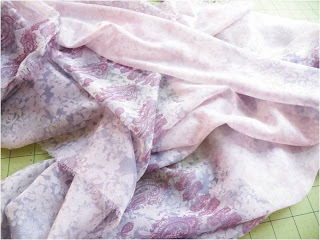 This is what the fabric I worked with looked like at this point. I left the hem at one end so that I wouldn't have to hem my scarf. 5. 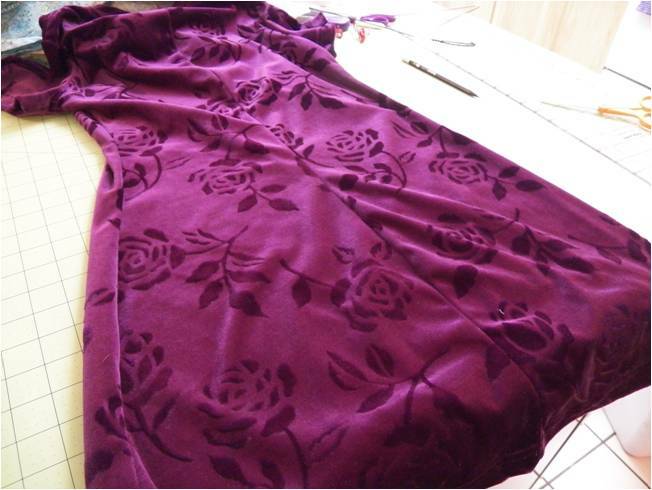 I then cut the side seam out so I had two separate rectangles of fabric. 6. I pinned the two rectangles together at the unhemmed side and sewed them together to get a long scarf. 7. 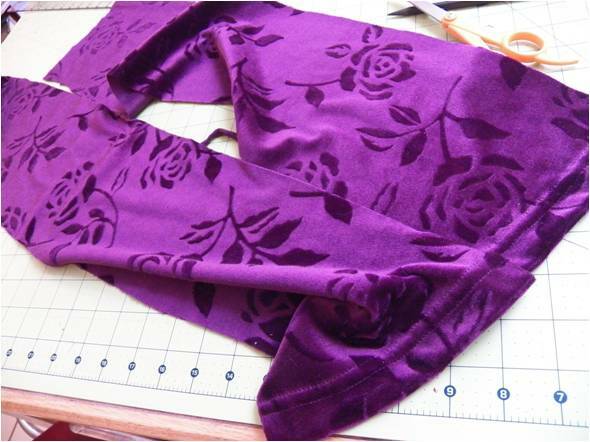 I cut a piece from lining fabric the same size as my scarf, pinned it to the two long edges of the scarf (leaving about 1 inch going over the hemmed edges), and sewed the pieces together, making a long tube. 8. I turned the tube right side out, folded the extra fabric at the hem edges under and pinned them. I stitched the hems edges and stitched around the sides to keep the seams flat. My new scarf! It's very soft and comfy. 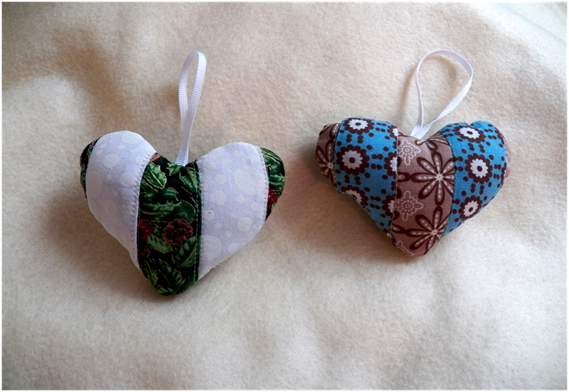 If you're looking for getting a head start on some ornaments for this Christmas, I have a simple quilted heart ornament tutorial on Fave Crafts here. You'll also get to read a short interview with me! 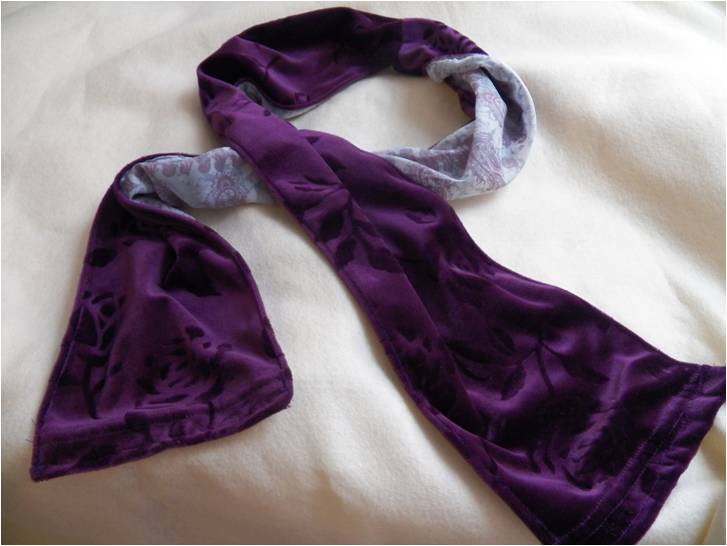 oh this scarf is perfect my other halfs mum loves scarfs I'll be making some I reckon!